Home (All Topics) → Technology → ITIL V3 Foundation Certification- Everything You Need To Know About the Preparation! 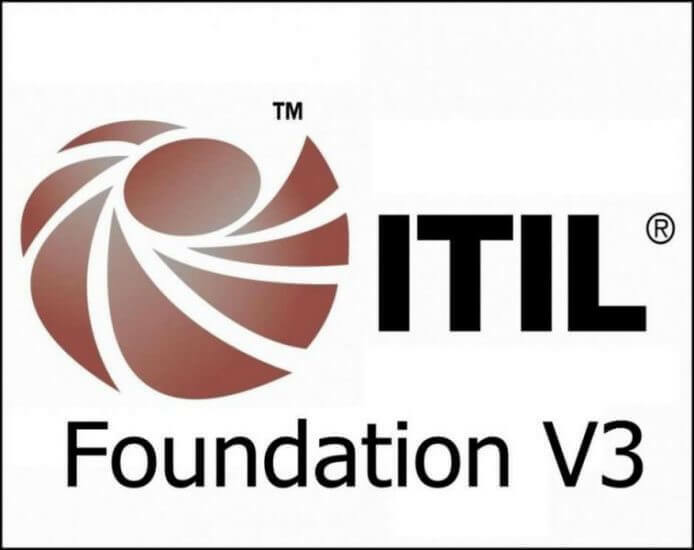 ITIL V3 Foundation Certification- Everything You Need To Know About the Preparation! By Mario Alexander on February 4, 2019. There are a lot of college graduates who want to make their careers in the IT Sector. IT sector is one of the fastest growing sectors in today’s time and a career in this sector can make any aspirant extremely successful. However, due to the popularity of this sector, there is a lot of competition for new jobs and placements. A person needs to have all the qualities and certifications in order to land a good job or grow their business. There are a lot of certifications that are required in the IT sector and one of them is ITIL or the Information Technology Infrastructure Library certification. This certification is the foundation level certification that is a proof that the certificate holder has the general awareness of ITIL Framework. If you are someone who is going for ITIL V3 Foundation certification and does not know where to start the preparation, we have you covered. Here, you will learn everything about the TITK V3 Foundation certification and its benefits. ITIL V3 Foundation Certification is the entry-level certification examination that assesses the knowledge of an aspirant regarding the general concepts of ITIL process and its functioning. This is an exam that can be given by any IT aspirant who wants to enhance their careers. The applicants have to solve 40 multiple choice questions in one hour. Once you pass the exam, the certification is valid for a lifetime. With this certificate, you are eligible to give the higher certification exams. The students can register themselves and pay the fee of $150 to sit for the exam. If you do not qualify in one attempt, you can give the exam again after a period of time. The students who have the basic understanding of ITIL Framework. IT Professionals who work in organizations that utilize ITIL and it is important for them to be certified in order to maintain their jobs. The students who want to have the knowledge of ITIL Framework and use that in the betterment of the IT service management in their company or organization. Anyone who wants to make a career in the IT field and wants to work with the companies who work on ITIL framework. All the students taking this test should be 18 years or older in order to qualify for the certification. You should focus on each of these skills separately to pass the exams with good scores. Each of these topics should be covered in detail. The books for ITIL V3 Foundation Certification are available in the bookstores as well as online shopping websites such as Amazon. You can find the book that covers all the topics easily. The online classes are another way to prepare for ITIL V3 Foundation Certification examination. The students can register for the online classes that can be taken from the comforts of their homes. These classes usually cost from $100 to $300 for the one-course period. You can get online dumps and study material for free from PrepAway.com. The only catch here is that you will have to select your study material. You should know the entire syllabus to understand what study material will help you the best. Some people also find one on one class helpful for preparations. The students can take tuitions from professional teachers that have been approved by the organization. Once you have finished the entire syllabus, the last step is to solve the practice test papers. The practice test papers can be found online and should be solved before the examination. These will help you assess your preparation. These will also give you an experience of the exam before you sit for the actual paper. What after Passing ITIL V3 Foundation Certification Exam? After passing ITIL v3 Foundation Dumps , you will have a lot of job opportunities opening up for you. For example, if you a couple of years of experience along with this certification, you will get hired as the process coordinator. Furthermore, if you increase your experience a little bit and have worked in the sector for more than 5 years, you can be hired to manage the entire process. This is a high paying job where you will have people working under you. With the Foundation certification, any job opportunity that you currently have will get enhanced and you will be getting much better options. If you are not someone who likes to work for the other people, this certification will help you in having a better understanding of your process and also in serving the customers better. ITIL V3 Foundation Certification is one important examination that every IT professional should give if they want to boost their IT careers. Most of the big organizations all over the world require this certification. You can take online classes or practice tests before giving the exam so that you are completely prepared and can pass the test in the first attempt. Furthermore, you can then give tests for the higher level of ITIL certifications that will give you even more information about the process and give your career a boost.